“I would like to book a room with a view of Slavkovský štít, please!” said our guest John when he called Poľana pension. His wish was our command – so when he opened the window in the morning, he could admire majestic Slavkovský štít rising to the sky directly behind the pension. Thank you! Our receptionist will contact you soon. What room shall we book for you? John and his girlfriend stayed in a double room. 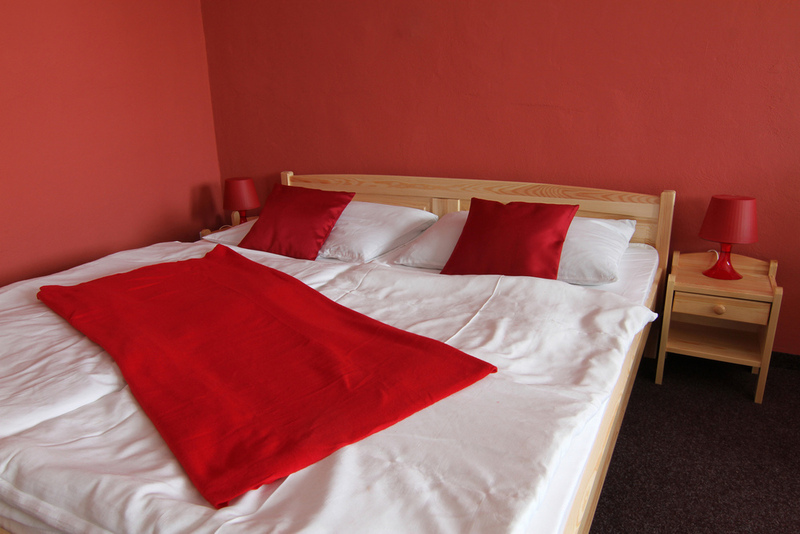 Our guests can choose from single, double or triple rooms. 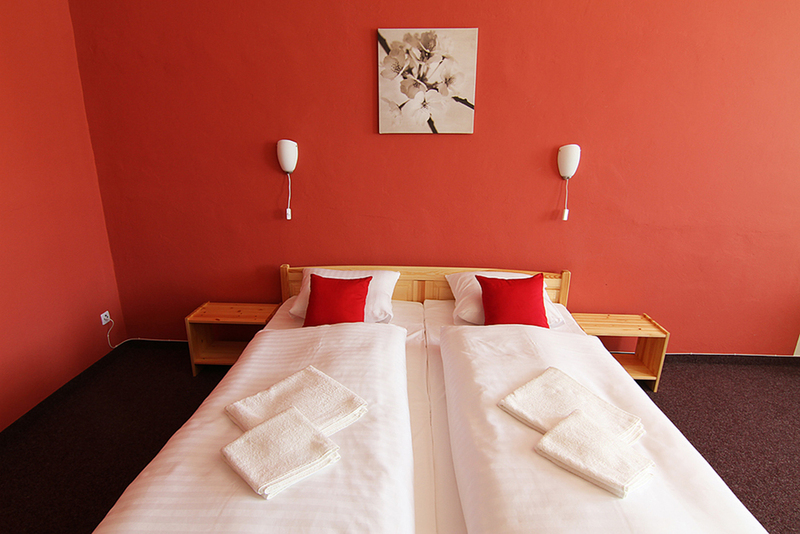 Spacious suites with two separate rooms with double beds are ready for families with children. Rooms in the rear part of the pension have a view of Slavkovský štít. 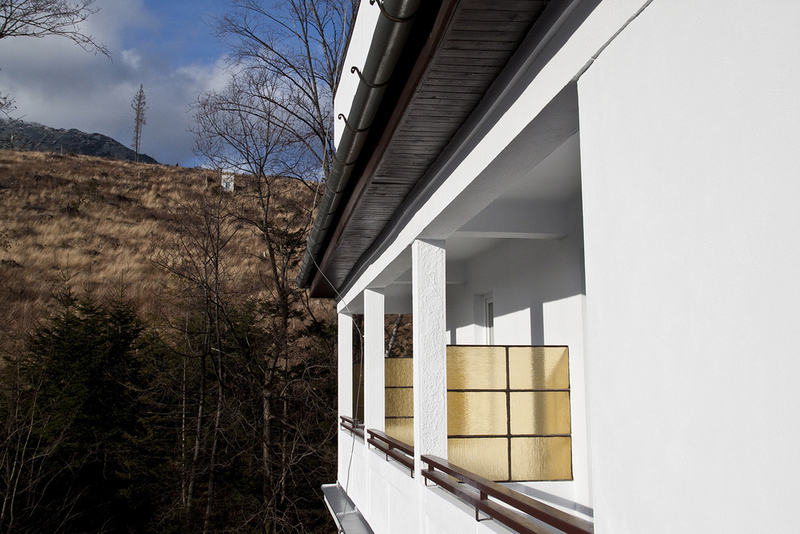 You can see the whole Podtatranská kotlina basin from rooms located in the front. 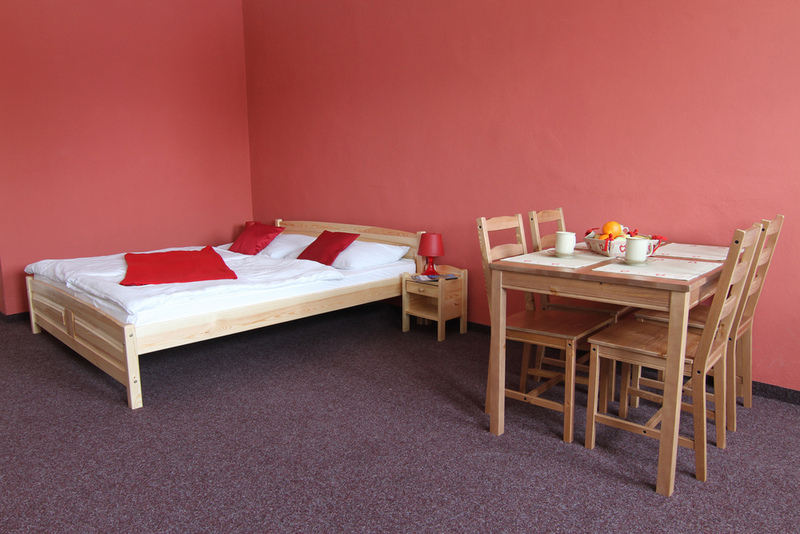 Rooms include: double bed or twin beds, satellite TV, bathroom with a shower, toilet. Some rooms have a balcony or terrace. The fact that Poľana is located at the foot of Slavkovský štít doesn’t mean that it is far from the town. 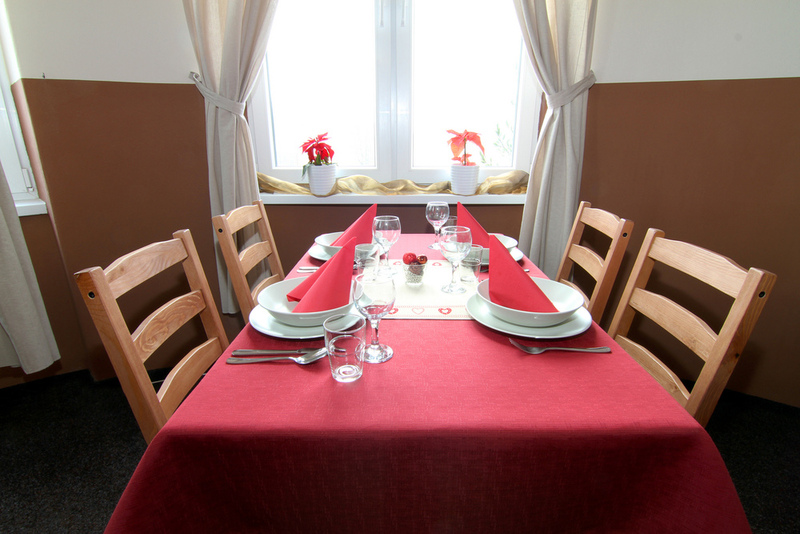 Actually, Poľana is only 300 meters away from the center of the town of Starý Smokovec. There is a stop for coaches and shuttle buses which will take you to the nearest slope in no time. The Tatra railway also stops here. What to do in the evenings? You can easily find pleasant pubs and restaurants offering tasty meals or shops selling high-quality skiing and hiking equipment. There is a ski rental just across the road from the pension. How to get to Poľana? Breakfast buffet is included in the room rate. 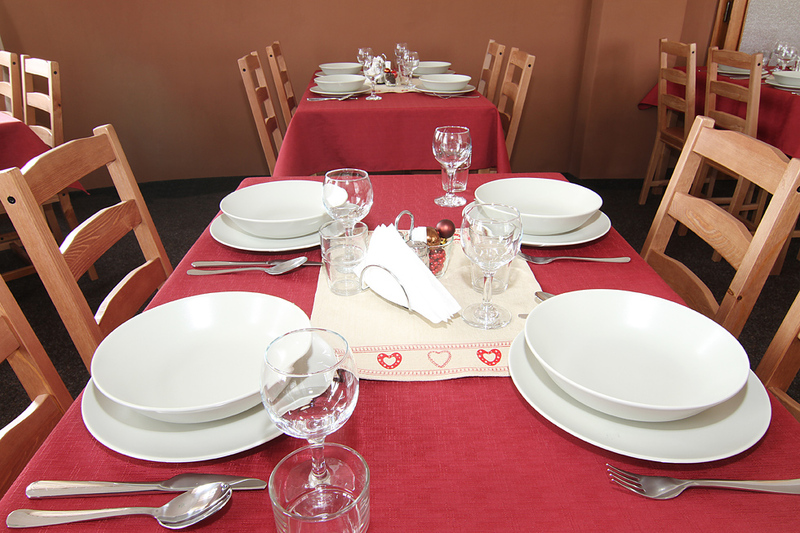 Guests can also order dinner in our pension. 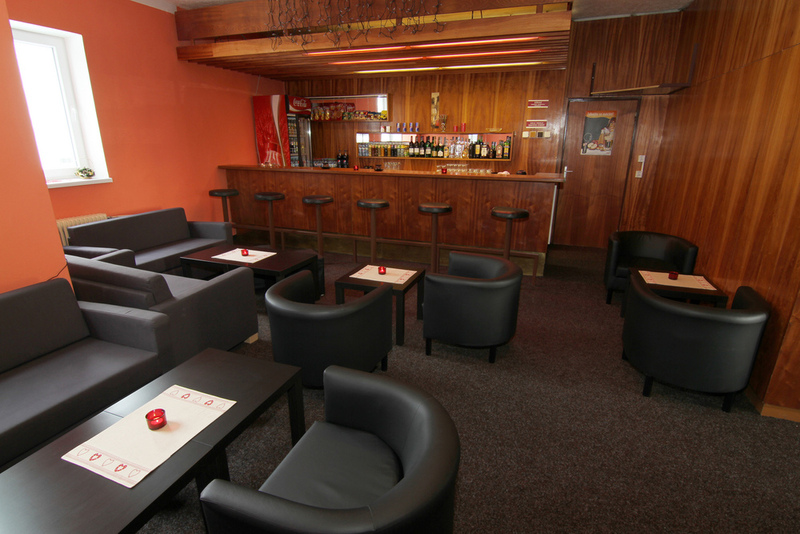 There is a number of restaurants near the pension, including a pizzeria. Our guests can enjoy a special treat - home-made cakes and desserts made by our confectioner. Take a walk to Karpatia. Visit our second pension. Admire the beautiful valley of Studený potok, a stream flowing directly behind Karpatia. Both pensions are located on a pleasant pathway between Starý Smokovec and Tatranská Lomnica. Trip to Hrebienok. You can either take a cable car or have a nice short walk directly from Poľana. Studenovodské vodopády (Cold Creek Waterfalls) are one of the most popular waterfalls in the Tatras and you can get there in 30 minutes from Hrebienok. It is an easy hike suitable for families with young children or elderly people. Peaks of the Tatra mountains. The closest one is Slavkovský štít, but you can also set off to a hike from nearby villages to see other peaks, too. 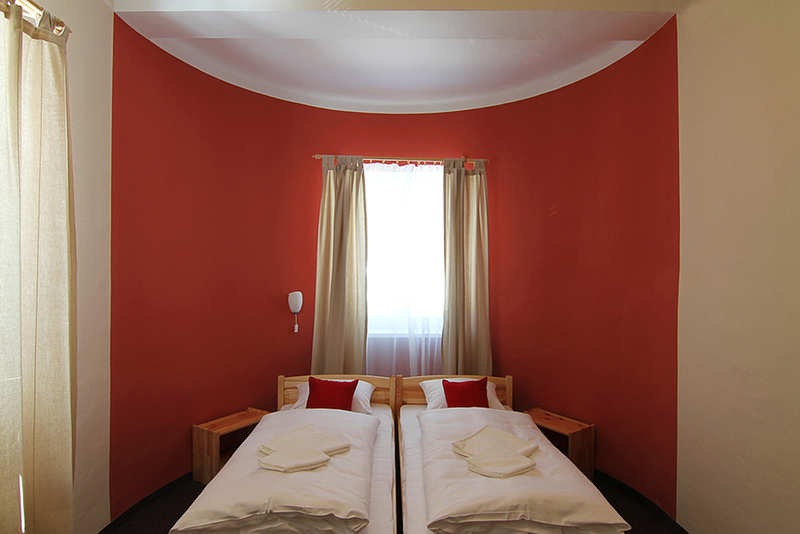 The pension includes a wellness center with Finnish sauna, bio sauna and a relax zone. Our new ski storage room has heaters for your ski boots. 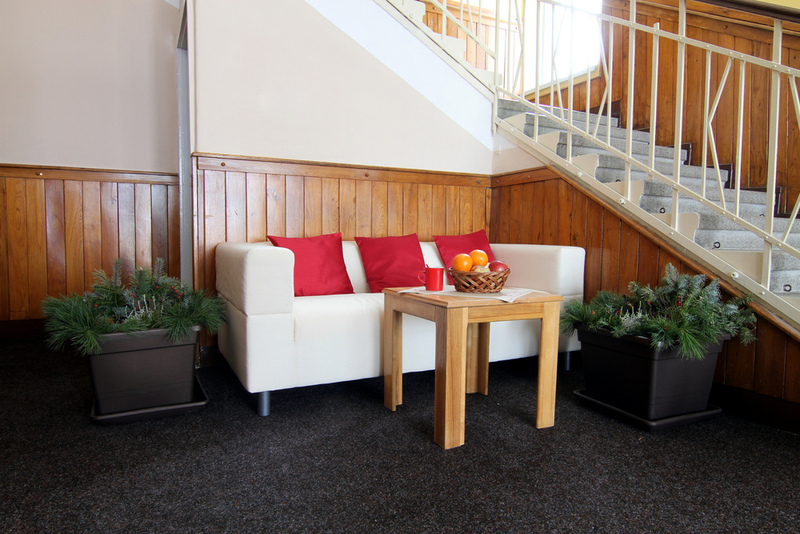 A ski shuttle bus stop is located 30 m from the pension. visit a nearby wellness center with a pool in Bellevue Hotel with a special 21% discount. 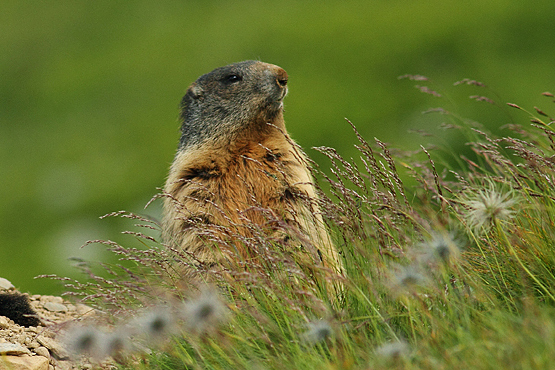 For more free time activities, see Tips for trips. Poľana pension is located in a place called Pekná vyhliadka, which means Nice View. In the 19th century, a wooden observation tower was built here and it quickly became a popular landmark for guests staying in Starý Smokovec. In 1926, construction of private pensions and small medical institutions started. The emerged group of buildings was declared a village of Pekná vyhliadka in 1930. More and more buildings were constructed here, so the village was renamed to Horný Smokovec in 1938. You can see the historical picture of Rainerova chata, a popular landmark. It is a short walk away from Pekná vyhliadka. Polana isn’t one of the speedy-built pensions. 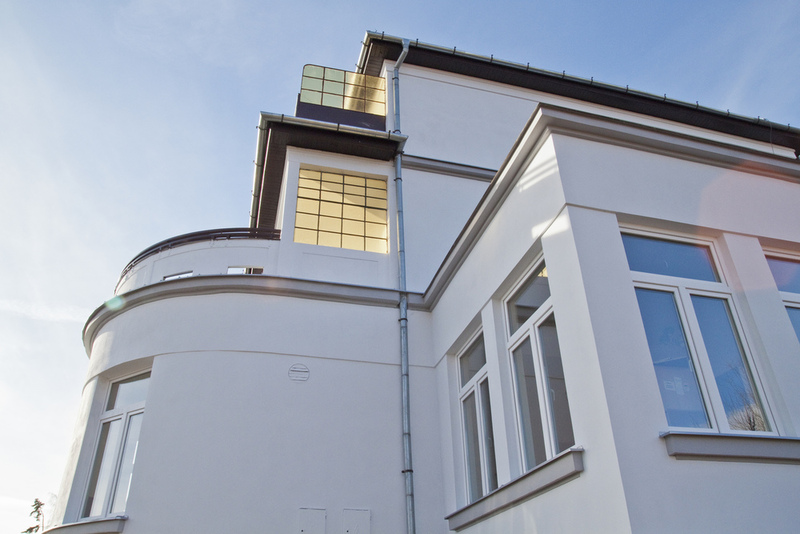 It is a functionalist building built in 1929, which will surprise you thanks to a number of beautifully designed details and thought-out structure. Poľana used to bear the name Fortuna. Back then, it consisted of 25 rooms, a restaurant and a cafe. 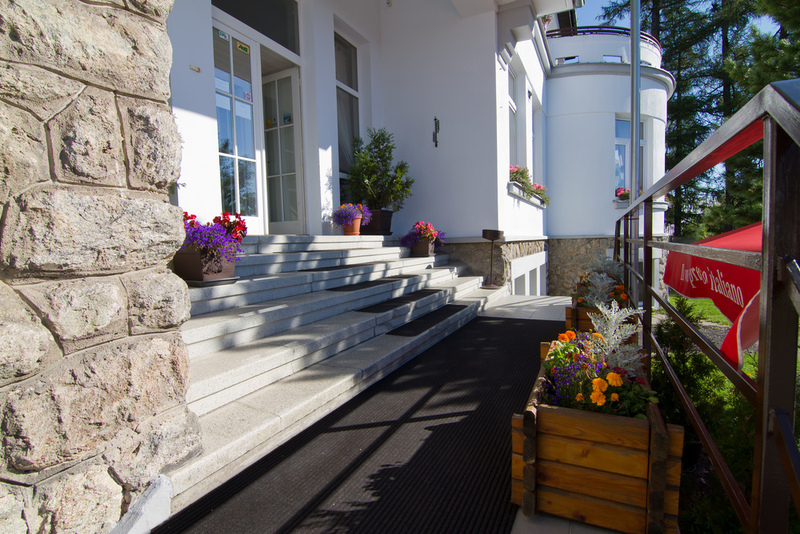 In late 1936, its new owner, the wife of a doctor living in Starý Smokovec, Judita Szásová, transformed the hotel to a children's pension Helios. 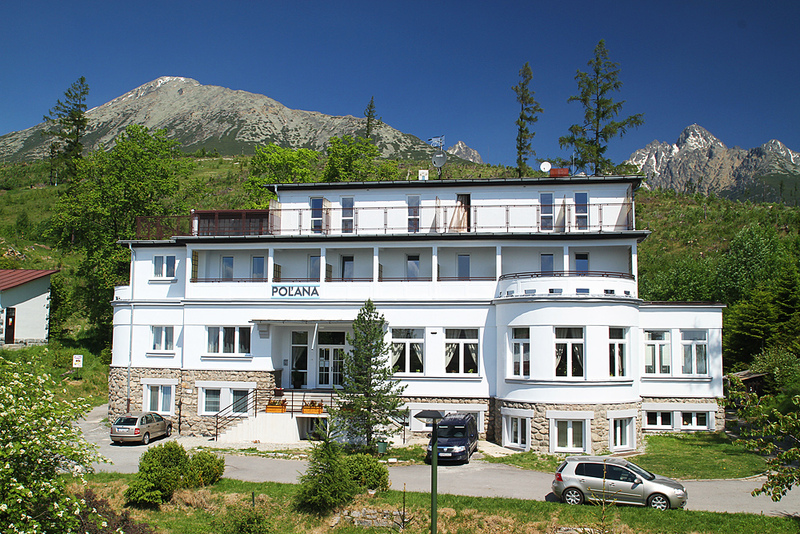 Right after nationalization, a sanatorium was established here, which has been known under the name Poľana since 1952.